Druid disperser 217F, Mollie’s disperser 261M, and 7 other wolves joined to form the Slough Creek pack at the end of 2002. This pack did not have pups until 2003 when they had 6. The following year, the presumed alpha female (217F) was killed by other wolves and the presumed alpha male (261M) died of unknown natural causes. During 2004 and 2005 the pack successfully reared pups, but the breeding pair was unknown. As the pack’s territory shifted into the Lamar Valley, biologists were able to collect better pack composition data and in 2005, 490M and 380F were identified as the alpha pair. This territory shift also led to interspecific aggression between the Slough Creek pack and neighboring packs. The 2006 shared den (380F and 527F both bred) was unsuccessful, which was likely due to the activity of an unknown pack that remained near the den for almost 2 weeks. In December of the same year, alpha male 490M was killed by other wolves. The pack stability faltered when a 2-year old male disperser from the Agate Creek pack became the new Slough Creek alpha male but was hit by a car and killed in September 2007. Another young Agate Creek male (590M) obtained alpha status of the Slough Creek pack and at 17 months of age became the youngest known alpha male at the time. In 2008, conflict with other packs peaked and 6 Slough Creek wolves died (5 were killed by other wolves and 1 died of unknown causes), including the alpha female (380F). The alpha male (590M) subsequently dispersed from the pack and travelled outside of the Yellowstone. 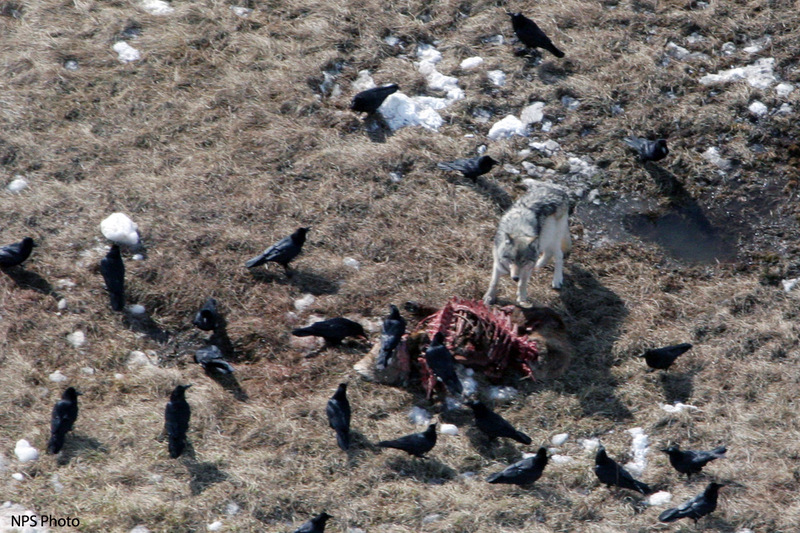 Of the 5 remaining pack members, 3 out of the 4 females had mange infections when they were last observed and 383M (the former alpha male of the Agate Creek pack who was travelling with the remaining Slough Creek females) was found dead in March 2010 with a severe mange infection and a broken leg.